In 1993, the Friends of Dance began awarding scholarships to dance students at Mary Washington College. 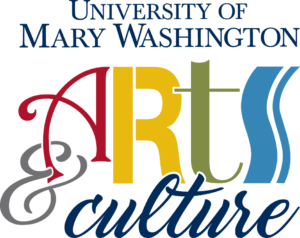 Within five years of their inception, the two scholarships were endowed and continue to annually reward worthy students at the University of Mary Washington. As of 2017, Friends of UMW Dance have given more than 55 scholarships worth over $42,000. The Friends named the first two scholarships to honor two beloved dance professors, Claudia Moore Reed and Sonja Dragomanovic Haydar, who helped to form the dance department at the college, now university. The third scholarship, endowed in 2017, is named to honor two women for their dedication to the longevity of the dance program at the University of Mary Washington, Vicky Nichols Wilder and Florence Overley Ridderhof. At the age of eight, a Yugoslavian girl began ballet lessons with Mia Slavenska. Madame Slavenska was formerly of the Ballet Russe de Monte Carlo, the premier European ballet company. Later Sonja’s training continued at the Zagreb Opera House in Yugoslavia, now Croatia. There she studied, not only ballet and pointe, but the different ethnic dances of her culture. She earned degrees from the Masters’ School of Dance in Berlin and the Conservatory of Music, Mozarteum in Salzburg, Austria. She danced professionally at sixteen, and became prima ballerina and choreographer for the Salsburg Opera and later, the State Opera of Dresden. Sonja, the child, became Sonja Dragomanovic, ballerina. In Sonja’s solo concerts, she mixed her classical pointe pieces with charming character dances, including The Fire Dance by de Falla, The Little Mermaid, and numerous ethnic dances of her country. Sonja came to the United States following WWII. She began teaching ballet in Washington D. C. She became the ballet mistress at the inception of the National Ballet of Washington where Frederic Franklin, formerly of the Ballet Russe de Monte Carlo, was director. An expert in classical ballet and its related art forms, Sonja also lived and worked in Asia and Africa where she researched and ﬁlmed the elusive Pygmy tribes in eastern Zaire. In 1968, Sonja began a new career at Mary Washington College as professor of dance and graced its dance program for twenty-one years. Upon her retirement in 1989, the college named her Professor Emerita. Mary Washington College, now the University of Mary Washington, long beneﬁted from Sonja’s teaching, choreography, and sparkling inﬂuence on the college community. She was mentor to many aspiring dancers and choreographers. After her retirement, she continued to pursue her beloved work as artistic advisor/choreographer for Avery Ballet in Fredericksburg. Sonja continued to live in Fredericksburg until her death in 2005. In 1934, Claudia Moore Reed graduated from the University of North Carolina-Greensboro with a degree in physical education. In her first teaching position at the University of Nebraska, she was to teach modern dance. “Having only danced with scarves,” she felt inadequate. However, this feeling faded after she attended Bennington College’s summer sessions in dance. In the 1930s, Bennington College, Vermont, was the Mecca for the greats of American modern dance. There, Claudia, the physical education major, transformed into Claudia, the student of Doris Humphrey, Charles Weidman, Martha Graham, and Jose Limon. She continued as a student with the Humphrey-Weidman Dance Studio in New York City and at the Bennington School of Dance. She joined the Humphrey-Weidman Repertory Company and demonstrated and taught for Charles Weidman at Bennington and at his New York studio. At the very center of the revolutionary dance movement of the 1930s, Claudia learned from and performed with the masters. She continued her academic education, receiving her master’s degree from New York University. She continued her dance career by teaching at the State Teachers College-Wisconsin and at the University of Colorado before coming to Mary Washington College of the University of Virginia in 1945. Here she taught, choreographed, and invited companies like Humphrey-Weidman and Martha Graham to perform in Dodd Auditorium. She was instrumental in beginning a dance major at the college within the Department of Health and Physical Education and was the founder of the Mary Washington College Dance Group. She has been honored in Who’s Who of American Women and Personalities of the South. Claudia Moore Read retired in 1975, and President Woodard honored her as Professor Emerita for her contributions of excellence to the college. Claudia and her husband resided in Fredericksburg. She died in 2002. Born with a dancing spirit, Vicky Nichols Wilder graduated in 1980 from Mary Washington College, majoring in dance and psychology. In 1985 she received her Masters in Creative Arts in Therapy, with a concentration in Dance/Movement Therapy, from Hahnemann Medical College in Philadelphia. She has worked as a dance/movement therapist in several institutions, currently in her 25th year with the Spotsylvania County Schools, serving special needs students. Having danced with dance companies in Fredericksburg, Charlottesville, and Philadelphia, she created the Sacred Dance Ensemble of Fredericksburg in 1995. The same year she organized the Friends of Dance at Mary Washington College. Florence Overley Ridderhof graduated from Mary Washington College in 1950 with a BA degree, majoring in psychology and was active in the dance department. She was a member of the Concert Dance Club. She continued her interest in dance through the years moving around the country with her military husband and raising four children. As years went on, she became involved in communities and always in her church, participating in numerous mission trips. She was an active member of the Rappahannock Council on Domestic Violence (now EmpowerHouse), Fredericksburg Counseling Service, Fredericksburg Festival of the Performing Arts, City of Fredericksburg Arts Commission, Fredericksburg Spinners and Weavers Guild, and Micah Ecumenical Ministries. She is an active member of the Sacred Dance Ensemble and Friends of Dance of the University of Mary Washington and participated in Dancing With the Fredericksburg Stars, winning the People's Choice Award. Other awards include 2001 Women of Distinction Award in the Arts through the Girl Scouts, Friends of the Orchestra Citizen Salute in 2003 and Woman of the Year from the Fredericksburg Women's Club in 2015.